This is an archived site. Information is out of date, site functionality is greatly reduced (no search, etc. ), some links are broken and email addresses have been replaced with "address removed". 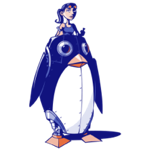 Please see the current LinuxChix site for up to date information. This site will eventually be removed. LinuxChix has regional LinuxChix chapters in several places around the world. In addition, the Chicas Linux chapter supports Spanish-speaking women around the world. The chapters have been formed to give women who use or are interested in learning about Linux or supporting each other in Free Software communities a way to meet other women with similar interests. LinuxChix chapters range from informal groups meeting over coffee to nationwide groups that hold their own conferences. Please note that each individual chapter decides if men are welcome to be members or to attend its events. If you are an interested man, please check with the chapter whether you can join. If there's no LinuxChix chapter in your area, and you would like to start one, just try our suggestions. To have a page for your chapter added or to make a change to your chapter's page, please contact us. Hosting provided by Intel and OSU Open Source Lab.